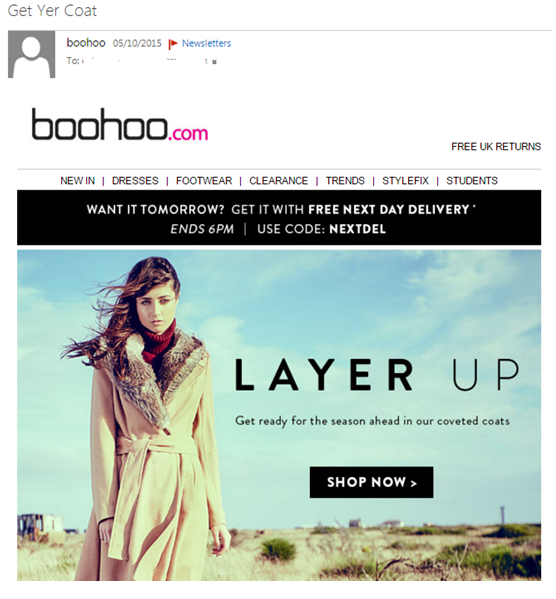 The humour in the subject line and high impact visuals make this a strong piece of email marketing. It’s also a good example of retargeting as I’d recently been browsing coats on the website, but left without purchasing anything. 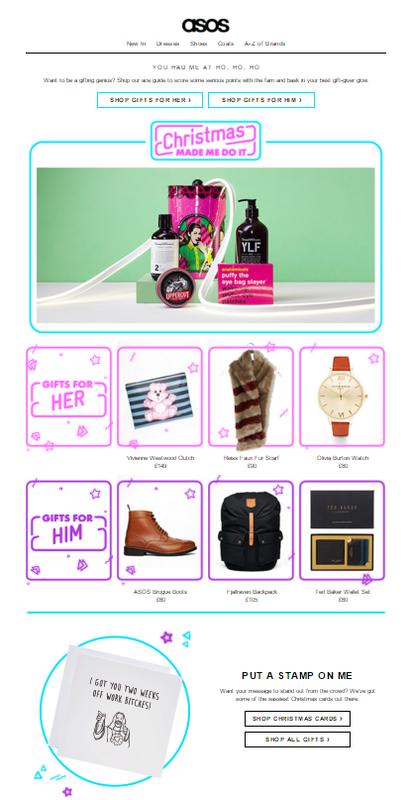 The layout of this Christmas email allows Asos to fit in a lot of content – and showcase a lot of products – without looking cluttered, while the copy is original and engaging. The conversational subject line is appealing and friendly in tone, which is appropriate for the purpose of the email: to pique your interest in browsing, rather than trying to make a sale. It almost goes without saying that a platform specialising in showcasing imagery features well-chosen, mouth-watering photography, which is introduced with just the right amount of captivating copy. 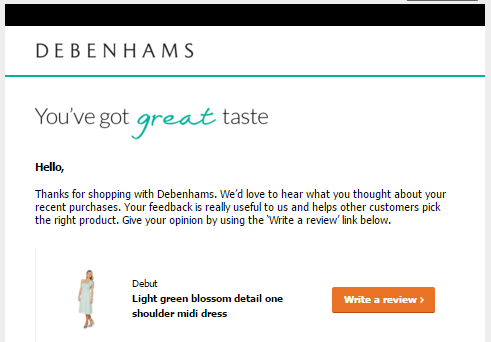 The Debenhams email is personalised with a list of items I recently purchased (with imagery to jog my memory), with a prominent call to action button next to each one. It’s simple, clean and makes it easy for me to take action. Additionally, the title (which was also the subject line) is clever and more attention-grabbing than something more prosaic like ‘Review our products’ would’ve been. 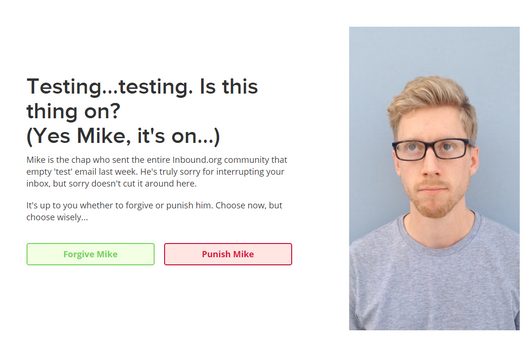 This email from Inbound.org is a great example of a brand not only willing to admit to a mistake, but also turn it into a great piece of email marketing: honest, funny and even interactive. 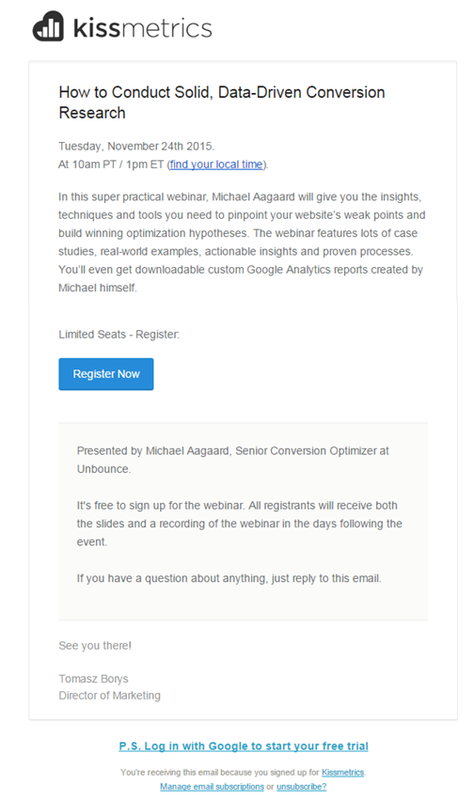 Everything about this email is done well, as you’d expect from a company specialising in digital analytics Kissmetrics. It’s well laid out and concisely covers all the need-to-know info (what it’s about, why it’s relevant to me, how to get involved). What’s particularly refreshing is the message ‘If you have a question about anything, just reply to this email’, rather the dreaded ‘do not reply to this email address’ which some marketers still use: there’s no quicker way to signal to your customers that a) they’re being mass-marketed to, and b) you have no interest whatsoever in their feedback, questions or in building a relationship with them. The subject line below is rubbish. What are the posts about? What blog? Why should anyone be interested? The only reason I opened it instead of deleting it was because I knew I was writing this blog post. Timing – According to Kissmetrics, the optimal email sending frequency is generally 1 to 4 emails a month, but you should be guided by your own data analysis. 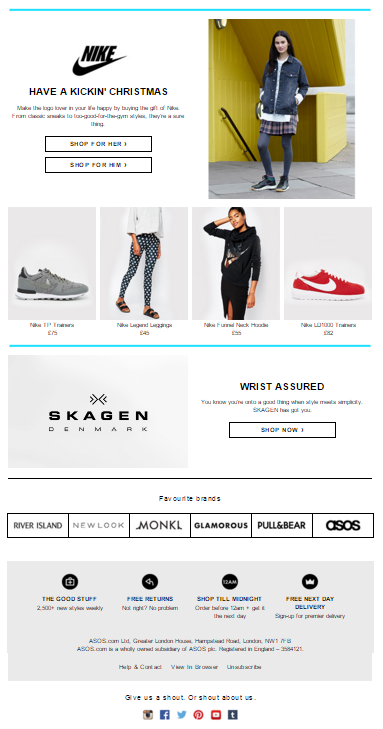 Don’t forget landing pages: they should have the same message, look and feel as the email marketing that drove the visit, as well as a prominent call to action. Read our other resources on basic good practice for email marketing and optimising emails for mobile devices. Interested in how inbound marketing could prove a cost effective way of growing your business and increasing your profits? Get in touch today for a chat.